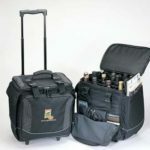 Whether you’re a professional wine sales rep or an avid collector, investing in quality wine luggage is an absolute must. 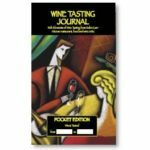 Think of it this way: you spend so much time, money, energy and passion learning about the wine you sell. You prepare extensively in hopes of landing the big account. So would you walk into a restaurant or bar with a lousy backpack or cooler? A brown paper bag? The point is, image is everything, not to mention the safety of your precious bottles. 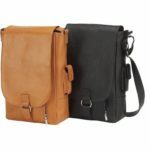 To project a professional image and tote your wine in style, here are some of the many options you have to choose from. 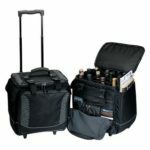 By purchasing some quality wine suitcases for your salespeople, you’ll see sales skyrocket in no time. 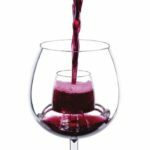 What does it mean to be a wine lover? Well, it’s much more than simply sipping your favorite red or white every evening. 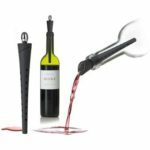 People who dedicate their lives to the craft enjoy all things vino related, including the stunning home furnishings inspired by wine country. 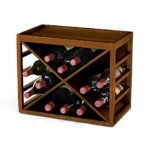 In your traditional or contemporary home, pay homage to your beloved pastime with some sensational wine furniture. 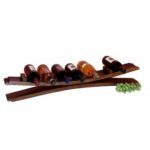 These reclaimed treasures are comprised of wine barrel staves and parts and prove to be some of the most original, innovative home décor around. 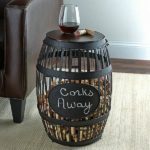 How can I use wine furniture in my living room? For the warm, rustic feel of a Tuscan vineyard, you can take a cue from the local winery with a piece of repurposed wood furniture. 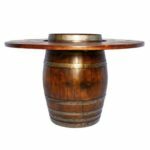 No matter what kind of sofa or chairs you have, a breathtaking wine barrel coffee table makes a major statement. Imagine gathering friends and family around this durable vintage oak piece. Whether sipping a pinot in the evening or a steaming cup of coffee in the morning, your living room essential will infuse subtle elegance that cannot be replicated. 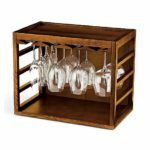 What wine furniture works well in the kitchen? Folks who like to entertain make plenty of use of their kitchen island. It’s where you pour glass after glass of chardonnay and make toast after toast to good friends. Why not dress it up with some appropriate seating? 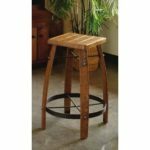 For a touch of wine style, a set of stave stools with leather tops is both chic and comfortable. In your choice of color and stain, these wildly popular seats are reminiscent of an old-world bar but work perfectly as discreet seating around a high-top table or island. 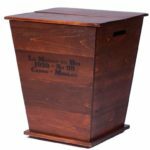 Are there any pieces of wine furniture for a bedroom? Perhaps you’re continuing the theme all across your winery themed home. 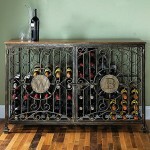 Although a home bar set goes great in any room, you may want to keep things a bit more formal in your master suite. 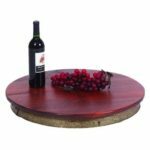 Your bed will look magnificent with two wine barrel accent tables flanking its sides. Perfect for a lamp, alarm clock, or a few books nestled in their built-in bookshelves, these fabulous recycled oak tables are truly versatile. Cheers, and enjoy! As we move into the season for bridal showers, weddings, outdoor birthdays and more, it’s smart to start thinking about gift ideas. 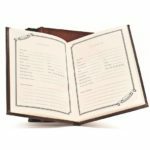 Savvy shoppers are always on the hunt for a one-of-a-kind present that’s both personal and practical—that special token the recipient won’t return or re-gift. If you have any wine lovers in your life, we think we’ve found the ideal gesture. 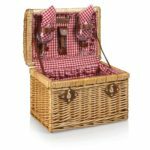 Discover wine picnic baskets. 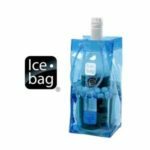 These high-end totes, coolers and other carriers let you bring your favorite bottle or two anywhere the party takes you. 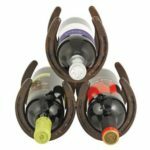 Here are some fun ideas for pleasing friends and family with these beautiful, durable creations.